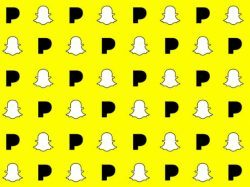 Pandora and Snap recently announced an exciting new partnership—Pandora Premium listeners can start sharing their favorite songs, albums, stations and playlists via Snap. Any Snapchatter in the US who has a Pandora Premium account will have direct access to Pandora’s entire music library. If the Snapchatter who receives the music card doesn’t have a Pandora Premium account, no problem — They can access a session of free, unlimited and uninterrupted music after viewing an ad. This exciting new feature is all about increasing engagement, which is ultimately the goal in the current streaming landscape. Services and labels are constantly looking to increase engagement amongst their products to ensure consumers come back and stream again, yielding more revenue. Or in this case, making it easier to share music with others, which increases awareness, leading to more streams—which again yields more revenue. We encourage our label partners to think about how these features can fit into digital strategy and marketing plans. By utilizing such tools you’re helping build out an artists’ digital footprint on the service, making their mark on Pandora’s algorithm. If the algorithm detects increased engagement around a track it will likely serve that track to more users on its radio tiers. The more users that are served the track, the better the algorithm can identify which audience it should continue to target. By finding a way to creatively include this feature in your digital strategy you’re only helping Pandora connect your music to the right people—that means new fans and more streams! This feature is only available in the US as Pandora only operates in the states. If your goal is break an artist in the US market, Pandora and their new integration with Snapchat could be a great tactic in your strategy. If your goal is to break a song at radio in the US market, you should align your radio plans with your Pandora strategy—this will only help build the story around your track. This new feature can help with these efforts, in conjunction with the free marketing opportunities Pandora already offers: Artist Audio Messages and Featured Track Campaigns. If you’re unfamiliar with these learn more here. These are valuable resources to increase revenue and exposure on Pandora. When you’re listening to a song, playlist or album on the Pandora app (Premium tier only), tap “Share” on the “Now Playing” screen. Learn more about the Snapchat & Pandora partnership here.